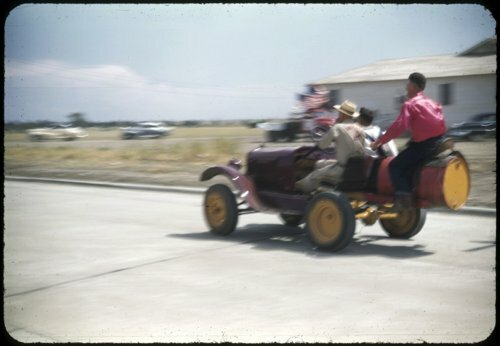 This is a slide showing a "bucking Ford" in Russell, Kansas. The back wheels were off set to make the barrell buck. It was driven in parades and other local events. It was probably built by Fred "Fritz" Strecker.